"Columbine Lake from Sawtooth Pass"
"Looking South - Sawtooth Pass"
"Looking West - Sawtooth Pass"
"Looking East - Black Rock Pass"
"Looking South - Black Rock Pass"
"Kaiser Peak Sunset - Kaiser Wilderness"
This interview originally appeared on Polagraph.CZ on September 4th, 2018. It was written and conducted by Noah Zyla. You started as a digital photographer, photographing weddings and so. Was your decision to switch to analogue photography impulsive, or was it a gradual process? I spent the first 4 years of my photographic career shooting digitally. I started out shooting bands in my local music scene and progressed to running a small portrait and wedding business. After working with these types of clients I felt like something was missing from my photography and my lifestyle. At the end of 2010 I swore off digital photography in an explosive way. Within a couple of weeks, I sold all my bodies, lenses, and lighting equipment to swear off the ridiculous amount of time I spent editing images behind a computer. I wanted to get away from my computer screen that I already spent 8 hours a day behind at my day job. I found inspiration in Mikael Kennedy's series Passport to Trespass and I picked up my first eBay SX-70. You were at the beginning of the rebirth of the integral film. What are your memories about these pioneering times? 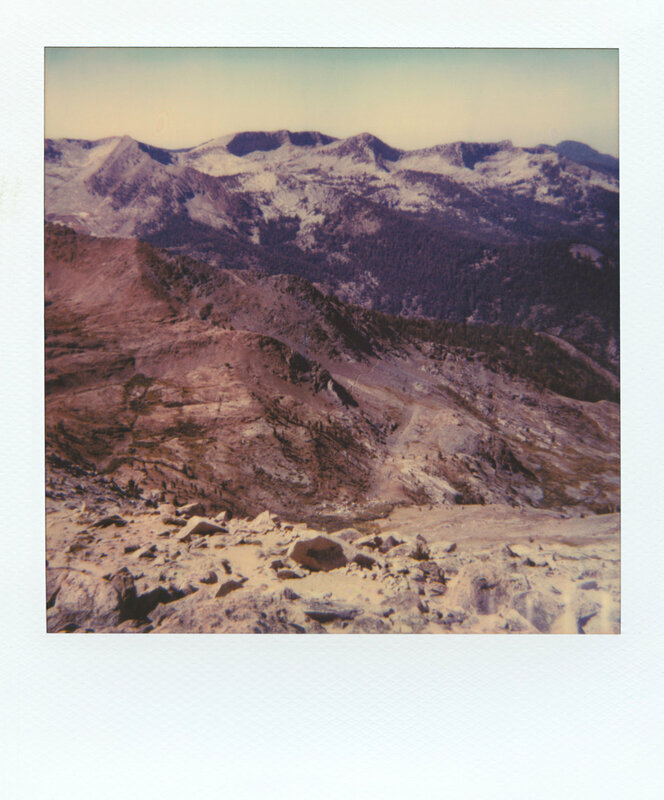 At the time, the Impossible Project had just launched their beta Polaroid film so I grabbed some of their film hoping to find a new creative outlet that didn't require any screen time. Soon after, I experienced my first outing with my old and half-working SX-70 and just produced Impossible Project Polaroid film. The images I shot that day were not perfect and barely usable by anyone's standards. However, the moments I captured that day are some of my fondest memories. Not only because I was with close friends, but because a beautiful analog machine of the past was brought back to life, and along with it, my photographic spirit. I felt like I finally found a way to express myself without having to result to a workflow on a computer to accomplish an end image. The instant gratification of getting lost in a real life workflow that resulted in a product here and now is energizing and magical. This is how I started down my path of an instant film addiction. As a young man, you founded an analogue magazine called PRYME Magazine, now known as PRYME Editions. How old were you and how did you come up with the name PRYME? I started PRYME Magazine in the Summer of 2014. At the time I was 25 years old, soon to be 26. During this time I had been submitting my Polaroid work to various magazines, publications, and websites with limited success. I was frustrated that there was no mainstream website or publication focused on instant film that would be able to show my work to readers that were already interested in the medium. This idea came to fruition during a backyard barbecue while I was complaining to my good friend and fellow photographer Franklin Lopez. He suggested I take this on myself and stop complaining. He was right and I took him up on his advice. The only thing I needed was a name. While we were discussing this idea we were also talking about gear (we all have gear acquisition syndrome known as G.A.S.) and how we both loved prime lenses for out work and it just clicked. I ran inside to the computer and found that Prime Magazine was already taken and decided to change the spelling to PRYME Magazine. The magazine was born! The only thing I needed to do now was of course, launch a website and magazine. Two things I had almost zero knowledge about at the time. However, if you have followed my story you know that these things aren’t important. You simply do these things, regardless of your expertise. With my optimism and with a lot of help along the way from a lot of kind people who believed in this project, PRYME Magazine’s first issue titled Instant Revolution was released in Fall of 2014. You can hear me talk about this in more detail on an episode of the Analog Talk Podcast that was released on May 11th, 2018 called: Instant Gratification with Michael Behlen of Pryme Magazine. You recently handed over this great magazine to Anne Silver, who regularly contributed to it, and together with Michael Kirchoff from Blur Magazine you found Analog Forever Magazine. What is your driving force? I was burnt out, I was tired, and my heart was not 100% into it. I have a habit of diving into things head first, giving 150% and tiring myself out. During the four years I ran PRYME I featured 200+ instant film artists via print magazines, books, and our website. During that time I also sold close to 1000 copies of the various magazines and books we published. If you can imagine, which I am sure all hard working artists can: I spent 10-15 hours a week on PRYME on top of 40+ hour weeks at my day job. Combining this with being available to my son, family, friends, and to myself for my own personal emotional and character growth I had to many things on my plate to be comfortable progressing in anything besides simply moving forward. The problem is that I want to move up, not just forward. This had been on my mind for a while, so after our Kickstarter campaign for our Annual Journal was wrapped up and shipped to our backers at the end of 2017 (which took 6+ months), I asked Anne Silver if she would be interested in taking over this passion project. She responded with an enthusiastic YES! In retrospect, if Anne and I hadn’t meet and began working together on PRYME I don’t know if it would have survived. She was clearly the best and only person who I could trust to continue the name I had worked so hard to develop. She was already an instant film artist who loved the medium but beyond that, she was trustworthy, kind, fair, and loving. Her lack of ego was also a strong indicator that she would be completely honest in her ability to run this project for the foreseeable future. She has done a stellar job in 2018 for picking up exactly where I left off and I couldn’t be happier for her and the PRYME name. After the hand off to Anne Silver, I was in hibernation mode and didn’t have any solid plans to begin any new projects. As the months went by I realized that magazine making and promoting artists is in my blood. It is something that I think about while I am work and at home at night. Knowing that PRYME had been a success I knew that I could build something even greater that could reach more people that before. Instant film was a small niche and I knew in order to do this I would need to focus on an even bigger audience: the whole analog photography community! I immediately started coming up with names for this new venture and Analog Forever just stuck. It was simple and described my mission perfectly. I want to help analog last forever! After I came up with a name I immediately reached out to Michael Kirchoff to ask if he would come on board and help develop this idea into a reality. So in July 2018 we began this project and in turn recruited Niniane Kelley and Tim Scott late last month. We plan to launch on September 3rd 2018 and we are only a couple weeks away now. You can find us at www.analogforevermagazine.com. I have strong forces pulling at me from a lot of different angles in my life. I am a father of a wonderful 9 year old boy, a passionate hard working banker (which I will be my until I am retired), a lover of analog photography who wants to further preserve the craft for future generations of artists, and an artist myself. Often times, as with almost everyone in the world, I have to make hard decisions, subdue my passions, and delay my gratification of certain ideas, projects, or activities based on ever changing priorities. A great example would be the internal fight that I have quite often which consists of: do I buy film now to continue my current project or fund my retirement account more so I can live longer without fear of not being able to afford future medical bills. The other side of this argument is: what if I am hit by a car 10 years from now and never get to see retirement? Was the little amount extra I contributed to retirement for the sake of compound interest worth the things I missed out on due to my conservative nature of comparing risks and benefits? Perhaps I over analyze these things; however, I feel that I often make the right decision. Which is to delay gratification. In my experience this feeling is never a good one and often times makes you feel trapped during the decision making process. The good news is that the box you have trapped yourself in is easy to grow out of (with the appropriate amount of time passing) and the joy you experience is usually 10x fold. What’s are your photography work plans for the future? I have been planning my second title in my series, Searching For Stillness Vol II, for the last two years. As with all projects, it never truly feels complete. It always feels easier to promote and create publications of other people’s work that my own. My goal for 2018 is to release this book and have an exhibition in my home town of Fresno, California. I would like to have this done this summer but most likely it will take place this coming winter. I am very excited to put together this book that I have been working on for close to two years now. 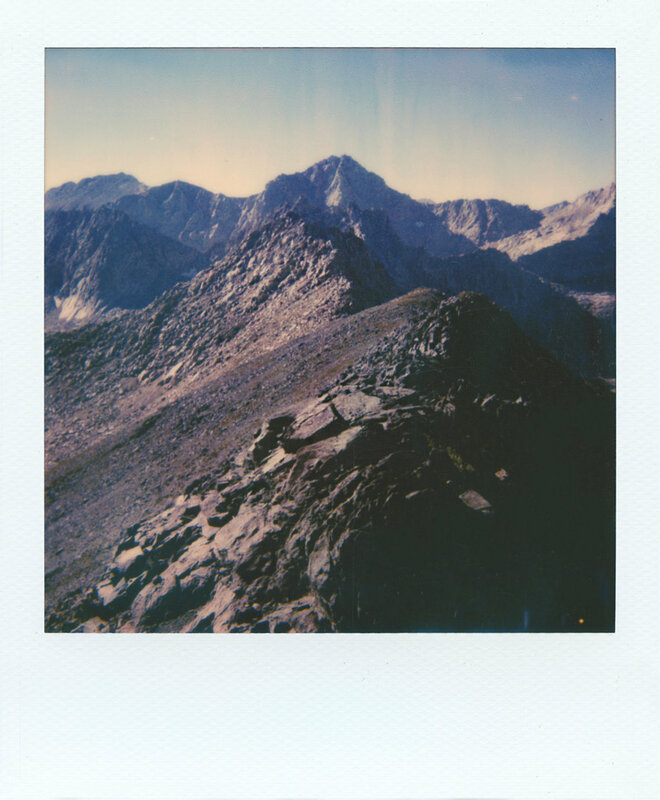 Beyond that, I plan to keep backpacking in nature and shooting instant film. I don’t have any immediate plans to pursue any other format of photography for the time being. I ask everyone also about what do think about those two camps Polaroid vs Instax? I don’t like instax. It just isn't for me. I think the format is important to lure beginning photographers into the instant film world and I think it serves this purpose wonderfully. The film itself is sharp and easy to work with but it almost feels bland in color and saturation. For the serious instant film artist, I think Polaroid Orginals is the only “true” modern instant film that is worth using for artistic purposes. It embodies the magic that I experienced as a child with original polaroid film and the square format is so iconic you would be crazy not to use it. I also, like many others, love the unpredictability of the film that allows you to experience happy accidents that make your images truly one of a kind. Have you been in Czech republic or do you know any of Czech photographers? I do not, just you Noah! I do know about Polagraph gallery and store though. I sincerely hope I can visit it one day! "Mt. Hutton Sunset - John Muir Wilderness"
"Horseshoe Lake - John Muir Wilderness"
"The Climb to Red Mountain - John Muir Wilderness"
"Hell For Sure Lake from Red Mountain - John Muir Wilderness"
"Hell For Sure Lake Sunset - John Muir Wilderness"
"Hell For Sure Lake Campsite - John Muir Wilderness"
"Disappointment Lake - John Muir Wilderness"
"Fleming Lake - John Muir Wilderness"